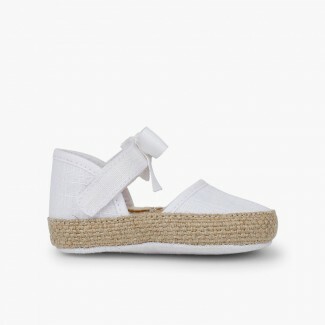 Our sandals for babies are so cute that are mom's favourite footwear for babies due to its design, variety and quality. You can use these open-toed sandals for girls or boy during the whole summer. For going to the beach, the pool, or to go for a stroll, your baby will be the most adorable thing in the world. You can choose from our girly sandals, the t-strap ones including an strappy design to let your baby boy's feet breath, or our unisex avarca menorcan style! For the older ones, Pisamonas also have a huge variety of styles to cover all family needs as mernorcan and rubber sandals for kids or our adults footwear range. If you already have a baby, or you are expecting one, this is the right place for you! Pisamonas is your online footwear store. Enjoy your purchase!